While our center is located in Bergen County, NJ, we work with students from around the country and around the world via video conferencing. Personalized course and extracurricular selection guidance, as well as resume, application assistance, and mock interview skills preparation ensure our students are accepted to the country's best colleges, and combined baccalaureate and doctoral programs. 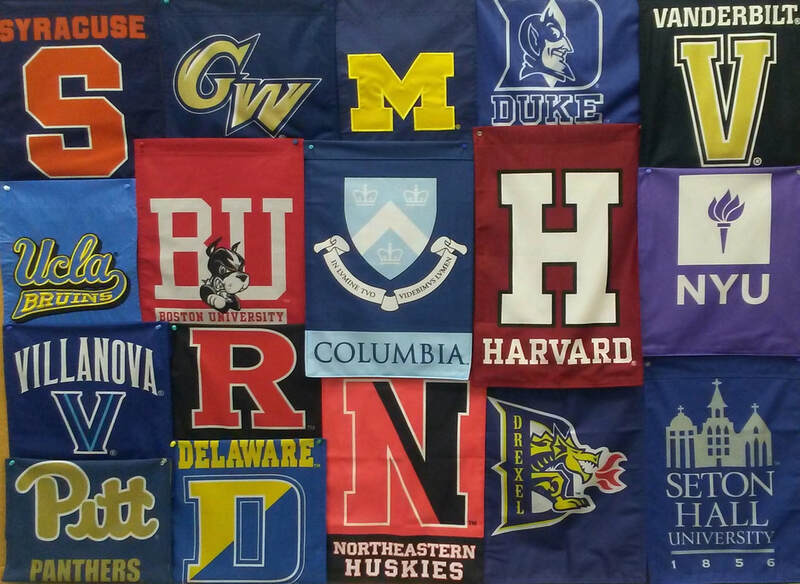 University of Pittsburgh, University of Notre Dame, George Washington University, Stony Brook, U. Michigan, Syracuse, U Delaware, Lehigh, Michigan State, UNC-Chapel Hill, Tulane, Cornell, University of Chicago, U.C. Davis, Case Western, Emory, Davidson, Vanderbilt, and Villanova, among others. Our average student receives $350,000-$375,000 in college scholarships.